InSanity lurks Inside: The Beast - 35th Anniversary!! 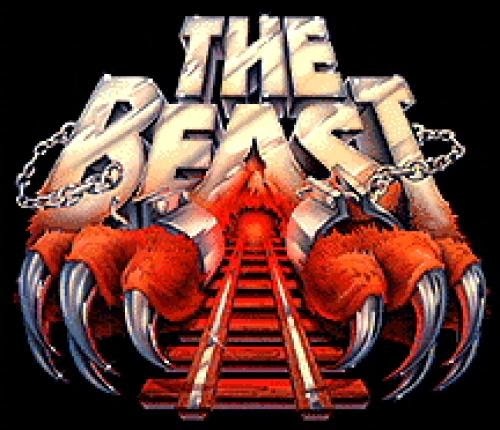 The Beast - 35th Anniversary!! Happy 35th Birthday to King's Island The Beast!!!! 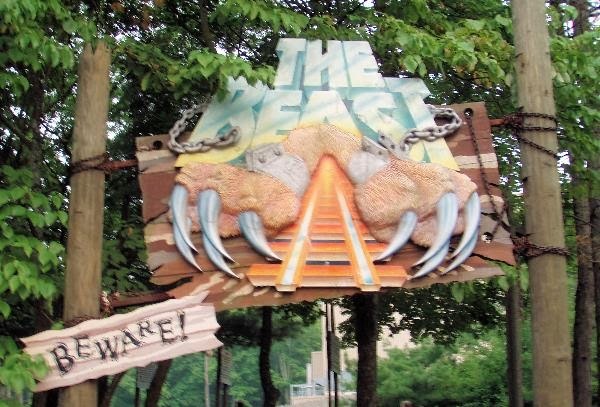 Yesterday was the 35th Anniversary of The Beast at King's Island. In 1979 King's Island unveiled the monster that we know and love to the public. At the start KI wanted to build a replica of the Shooting Star roller coaster located at Coney Island, NY. People sometimes think that Philadelphia Toboggan Company designed the ride because of the design of the trains but this is not correct. She was designed in-house by Charlie Dinn, who went on to create Dinn Corporation which became Custom Coaster International. 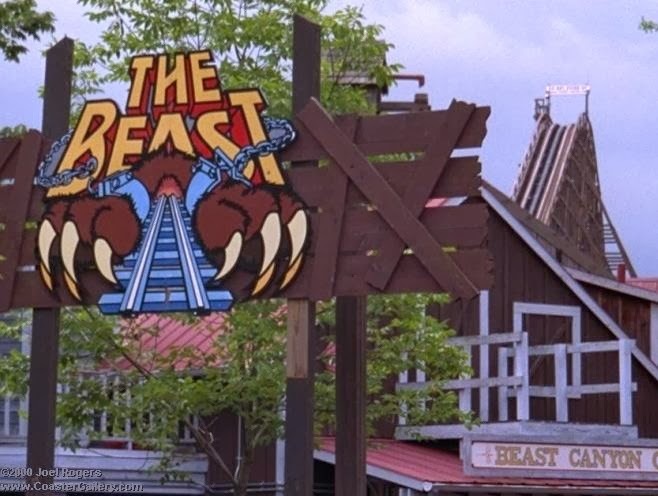 When The Beast opened King's Island even released a TV commercial, this is sometimes created as the first roller coaster marketing campaign. You can watch the commercial here and I suggest you do because it's really neat. 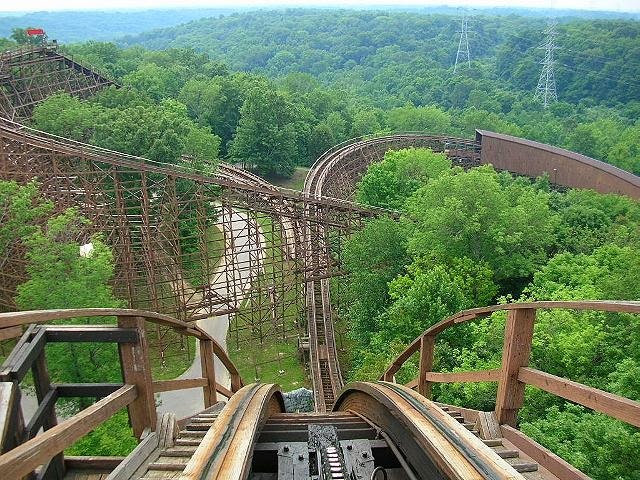 She opened on April 14, 1979 as the longest, fastest, and tallest wooden roller coaster in the world. 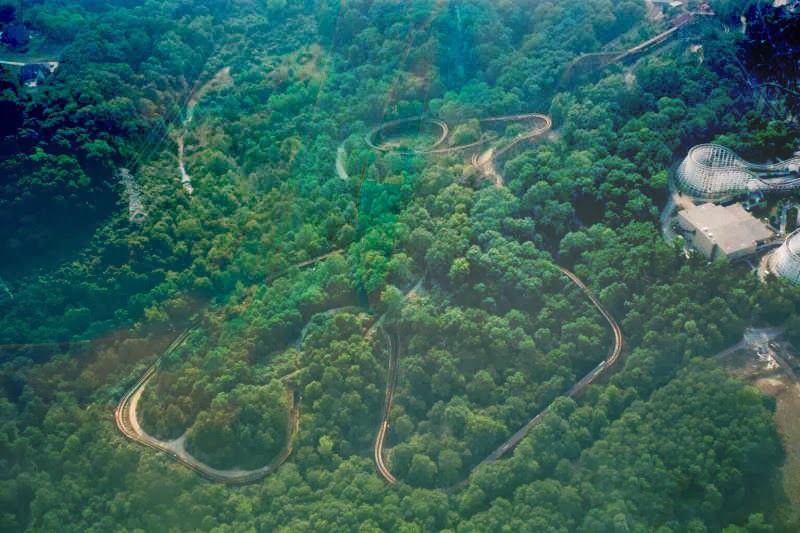 There were three underground tunnels when it opened but by the second season two tunnels had been enclosed and the enclosure had been built over the double helix. In 1994, R.L. 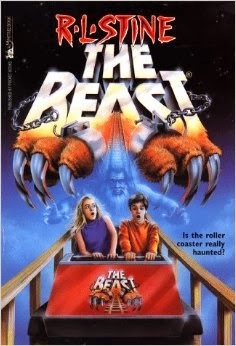 Stine even wrote a book featured about The Beast and this even produced a squeal book. 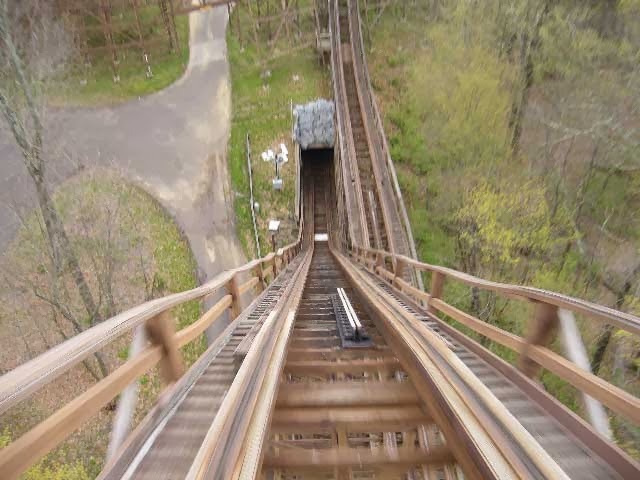 When Diamondback was built in 2009 the entrance to the ride was moved back to the original 1979 position. 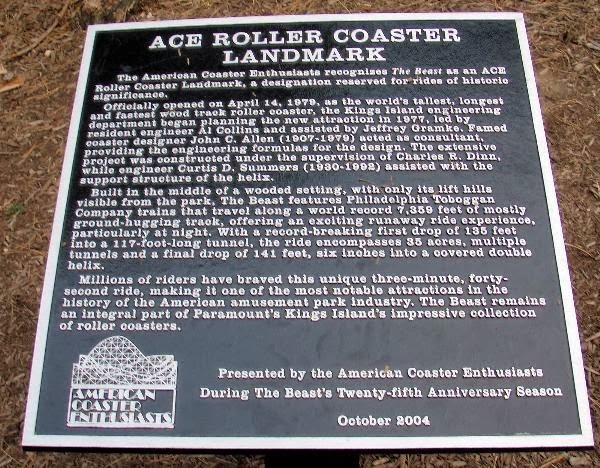 In 2004 The Beast was presented the Coaster Landmark Award by the American Coaster Enthusiasts. The commemorating plaque is located outside the ride. We at ISI will be at King's Island later this year for the opening of Banshee and we never miss a chance to ride The Beast, especially this year for the anniversary. *Pictures were found on KI's Facebook page and Google. The stats were found on RCDB.